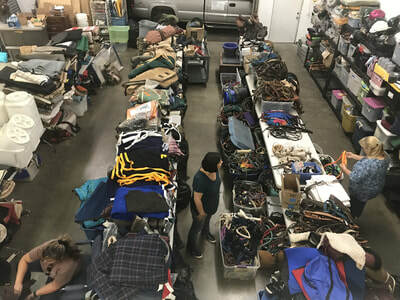 AAE has accepted tack donations since inception of the rescue in 2009. Initially, we used donated tack for handling, evaluating, training, and riding at AAE. As tack donations grew, we began to sell the surplus tack at AAE and on Craigslist to help raise funds for feed, veterinary expenses, and other needs. 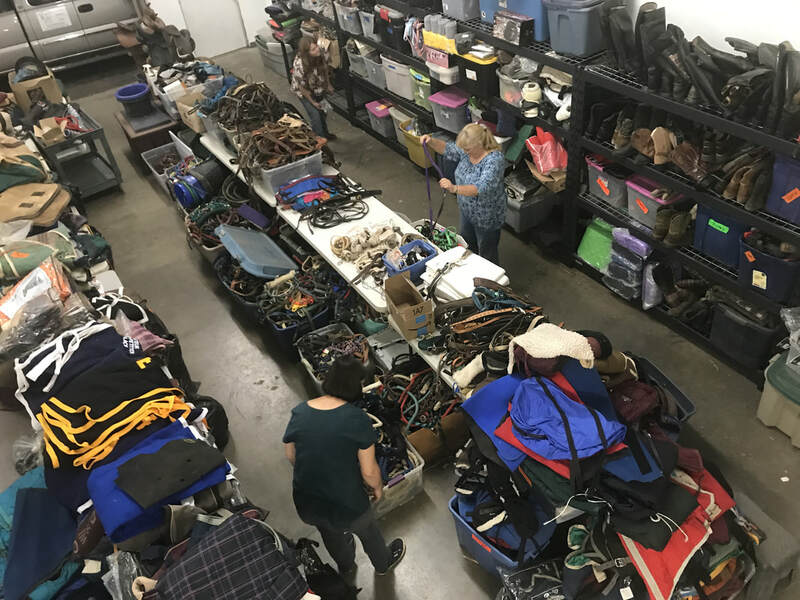 Over time, our tack inventory grew, and we had occasional tack sales as better ways to raise funds for the horses. 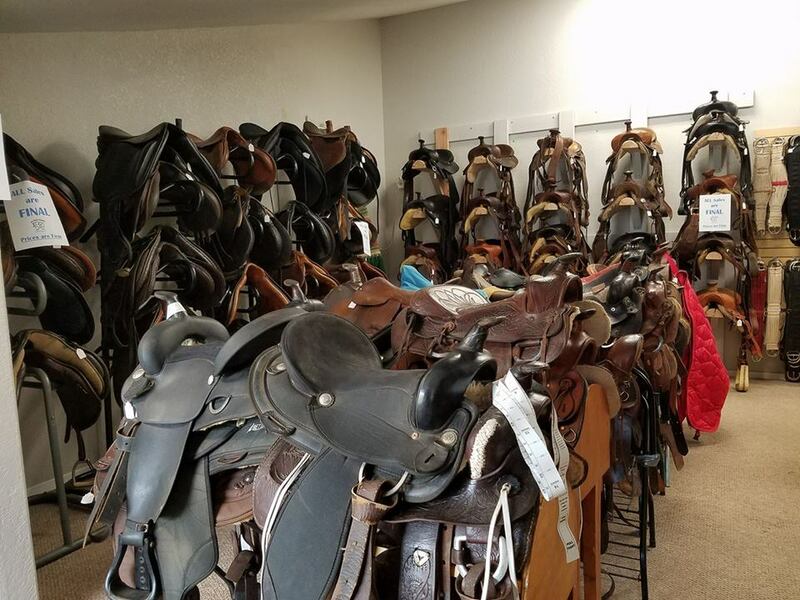 As awareness of AAE has grown, so has our tack donations. 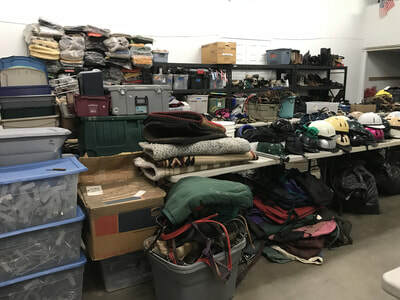 We continue to receive some amazing and incredibly generous tack donations, However, our tack inventory has grown beyond feasible for managing a tack sale. 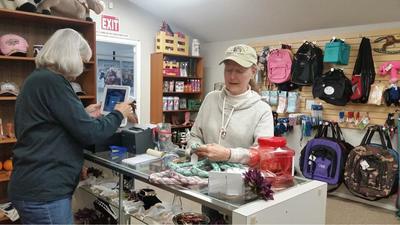 ​As a result, AAE searched for a retail space for some time. 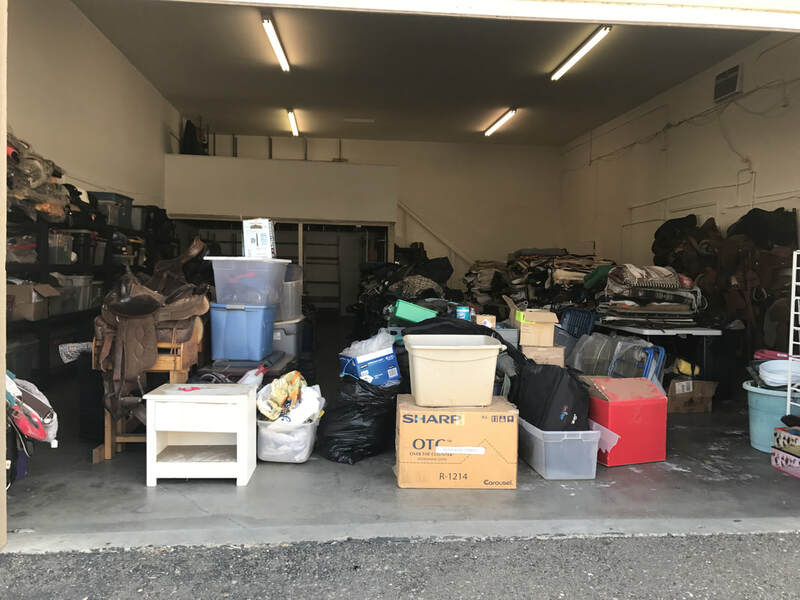 Fortunately, we found an ideal space in Shingle Springs that offers retail space as well as office and warehouse space. 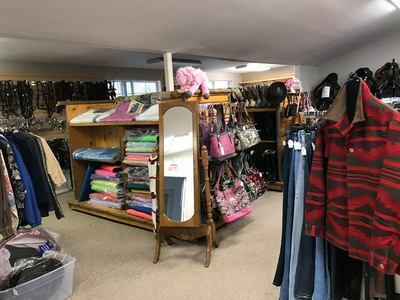 Although it's not the most visible location, the store is also in close proximity to our favorite feed store, Lees' Feed, which makes for an easy stop after your feed store visit. 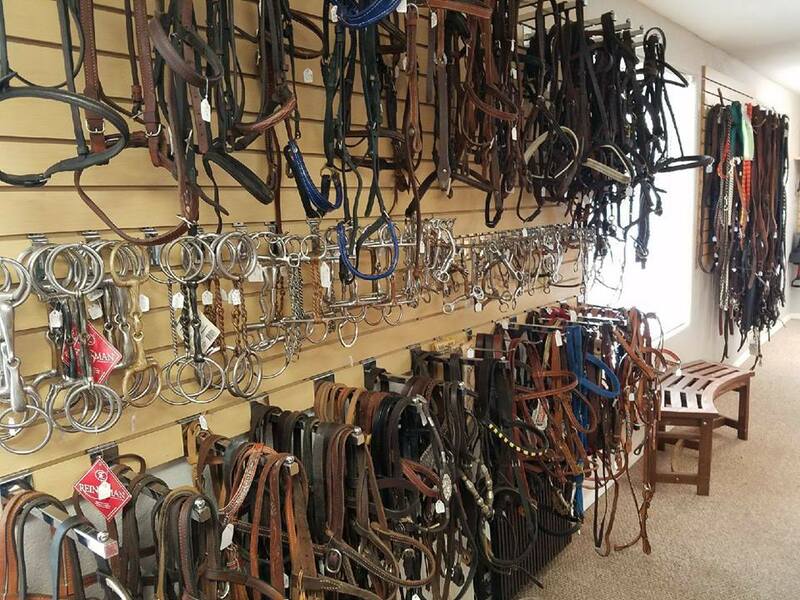 If working at the barn helping with the day to day care of the horses isn't your cup of tea, there are many ways to help with AAE's Used Tack Store. The two most obvious ways are to donate tack or volunteer to help at the store. 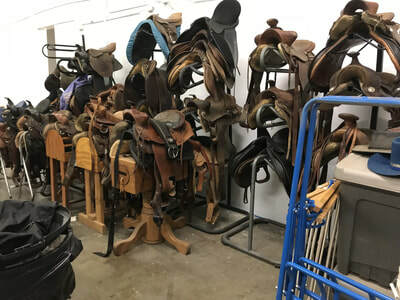 Tack Donations: Gently used tack is always welcome. When tack is donated, AAE updates our barn inventory first, then excess is transferred to the store inventory. 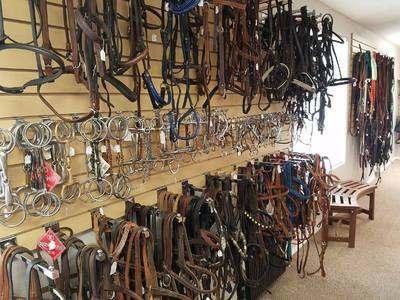 We very much appreciate tack that is delivered and in sale ready condition (e.g.clean, conditioned, oiled). 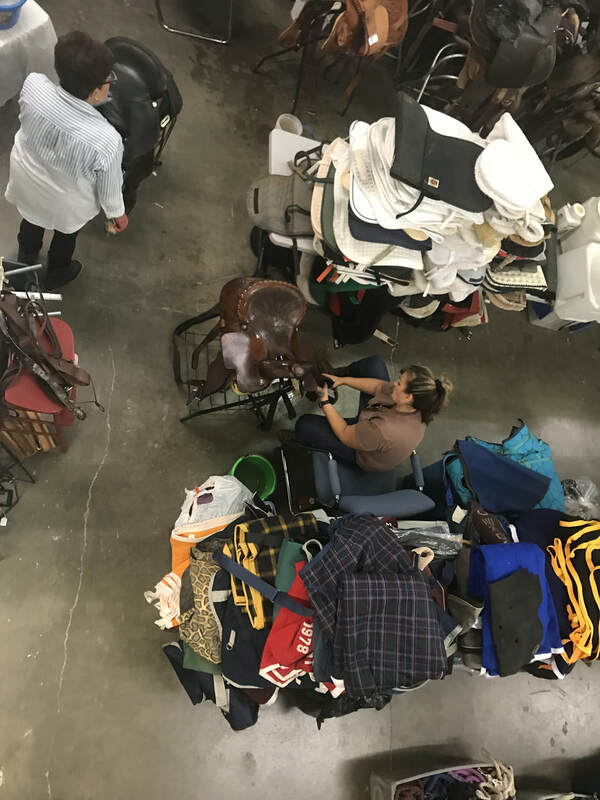 However, when necessary, we can arrange pick-up of donations and volunteers can help with cleaning and preparing tack for sale. Volunteer: The store hours are limited by volunteer availability to keep the store open. 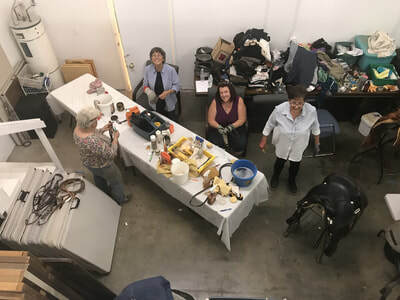 If you like working with people and tack, this is a great place to be. 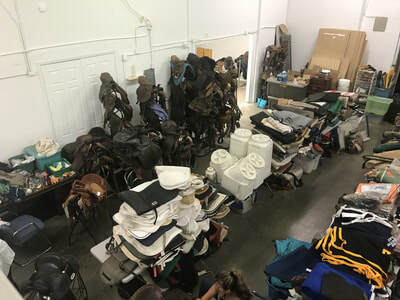 We need sales help, as well as help cleaning and preparing tack cleaning. 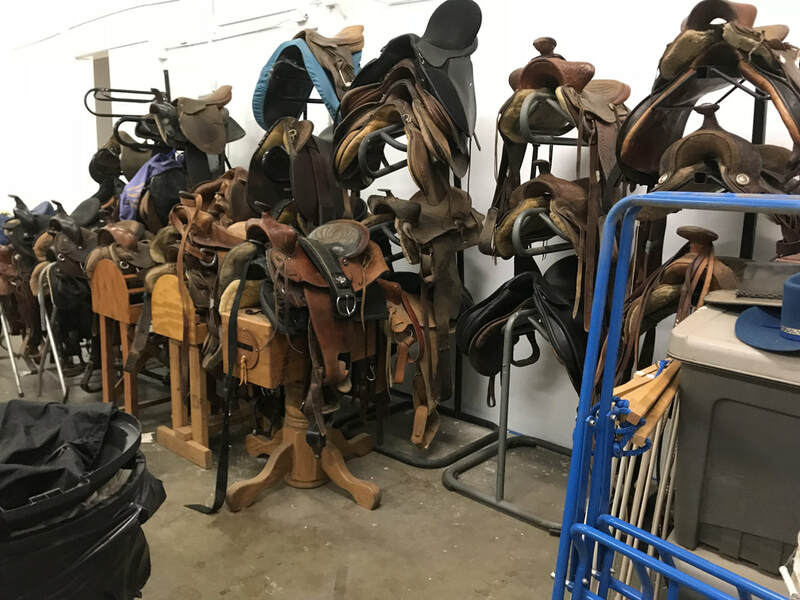 We also need help with picking up tack donations. We would also like to expand sales beyond the store via online sales, such as Craigslist, Facebook, and eBay. That means we need help with online sales (e.g. photography, posting, packaging/shipping, etc.). Other ways to help include researching tack value, soliciting donations, marketing, merchandising, decorating, etc. If you would like to help with the store, please send an email to tack@allaboutequine.org, and describe your interest and experience with horses/tack, retail sales, marketing, pick-up/delivery, online sales, or however you think you can help. We will strive to maintain consistent hours, but due to volunteer staffing availability, hours are subject to change, so please check back regularly. If you would like to donate tack, please send an email to tack@allaboutequine.org pr give us a call at 916-520-4223.